Don Stephens has collected moving stories from the Second World War that will enthral and move his readers. As Brigadier Ian Dobbie, OBE says in the Foreword, Don ?has the gift of telling a story in a way which grips the reader, and yet he is not guilty of writing in a sensational manner, nor does he fail to remind his reader that war is always a terrible event, and that the God of the Bible remains sovereign.? The stories range from the South African Air Force war hero who became a vital missionary pilot, to the Scottish lady from quiet Dumfriesshire who was a martyr at Auschwitz, to the German Prisoner of War who found a strong spiritual link with the Wirral. The eight stories combine to remind readers dramatically that our God is able to use even the dire circumstances for his glory. War and Faith by Don Stephens was published by Evangelical Press in April 2016 and is our 21372nd best seller. 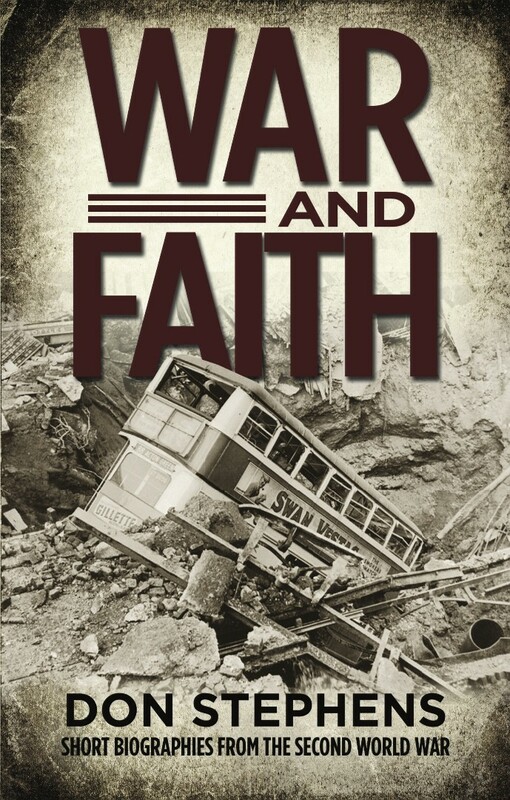 The ISBN for War and Faith is 9781783971503. Be the first to review War and Faith! Got a question? No problem! Just click here to ask us about War and Faith.